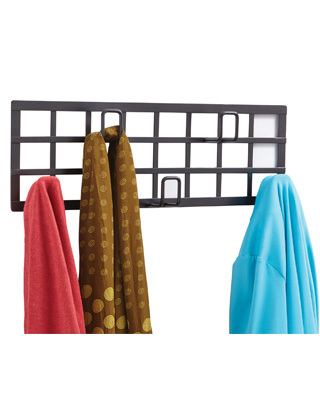 Make your first impression areas stand out with the stylish and ultra modern Grid Coat Rack. The grid pattern will bring a unique feeling to your waiting area, lobby or reception area. Constructed of steel, this coat rack is durable for high traffic areas. It features five hooks to ensure guests or employees have a place to hang their hats, coats and scarves!